The Human Tragedy is a panoramic portrait of American society being published as a series of short story collections. 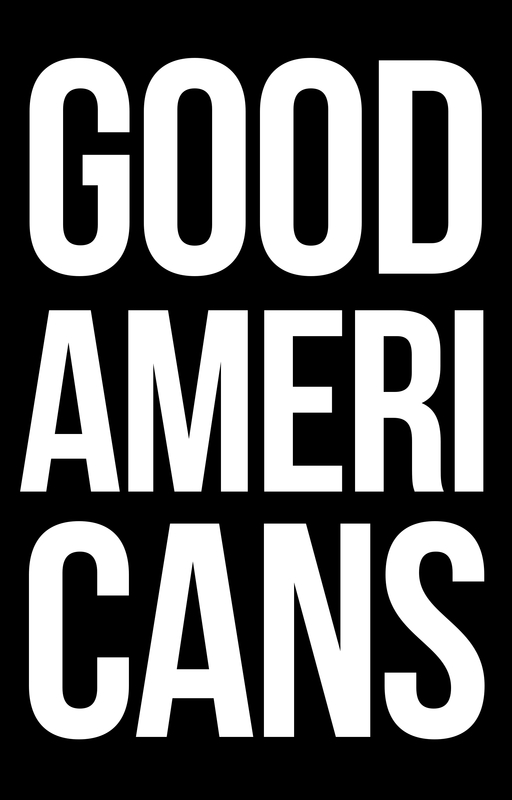 The first volume, Good Americans, was published in 2013 to acclaim. Kirkus Reviews called it "a solid collection of rare caliber" that "speaks volumes about the human condition and modern life in America." The second volume will be released sometime after The Brotherhood Chronicle Volume 3 is published. In the tradition of Mark Twain, Sinclair Lewis, and William Faulkner, this groundbreaking short story collection paints an uncompromising portrait of a contemporary America filled with liars and buffoons, racists and swindlers, hypocritical ideologues and emotional manipulators. An Italian-American racist receives his comeuppance from a ghetto Hispanic teenager; a blonde runaway from Florida is forced into prostitution on her road from the South to North; a Dominican-American professor is embroiled in academic intrigue; a scarred white war veteran stalks a black stripper; an ambitious Midwestern journalist pursues a mysterious Indian-American lawyer. Good Americans is a "grand assault" against the fiction of our time, delivering a mind-blowing diversity of voices, subjects and effects. By turns thought-provoking, disturbing, hilarious and deeply moving, Good Americans is the first selection in The Human Tragedy, a panorama of our society that The New Wei will bring out over the coming years. "...stories speak volumes about the human condition and modern life in America...a solid collection of rare caliber." "A great collection of stories...from the oh-so-very satirical title, to the prologue, to each and every story, this book stands out on all accounts...the stories leave an indelible impression on your mind that makes you want to come for more." "Good Americans by Tejas Desai offers devastatingly passionate portraits of individuals who represent today's jaded citizenry of American society. It's a collection of stories about the great diversity that exist in America and how it affects the very fabric of our nation. With the world reeling from bloody conflicts driven by the unacceptance of divergent views, nationalities, religions or skin colors--Desai's book is a great study of how we must learn to accept and embrace diversity or live in a world of chaos." "While ostensibly about the undesirable elements of society, the underlying question asked of readers by this collection is, what is a Good American? Or more pertinently, what is a good person? It is this question of identity-personal, cultural, societal, national-asked by this collection that poses much food for thought"
"This cutting edge short story collection by Tejas Desai gives every reader a very unconventional approach to the contemporary American world...great detailed research done and the way the stories are penned shows it all...use of the perfect ingredients at the perfect place."